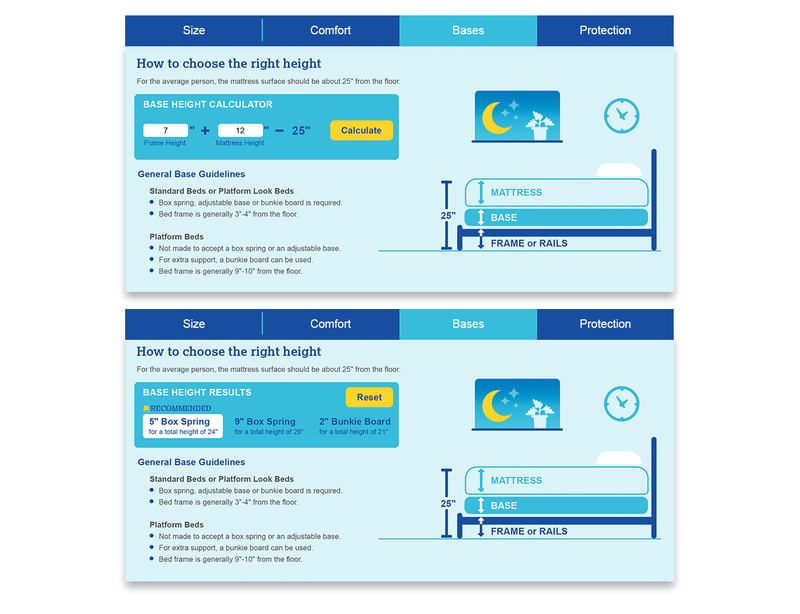 The mattress buying guide was created as a shopping tool for first-time mattress buyers. 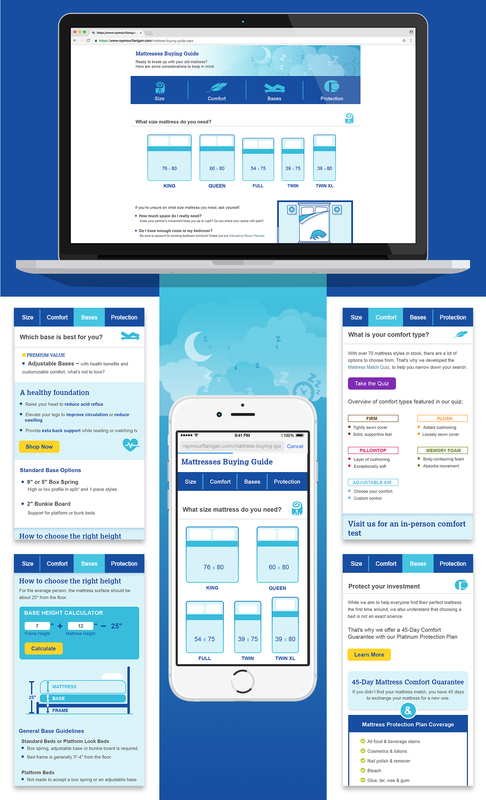 It is a single page, long scroll design with a sticky navigation that jumps the user to different sections of the page. 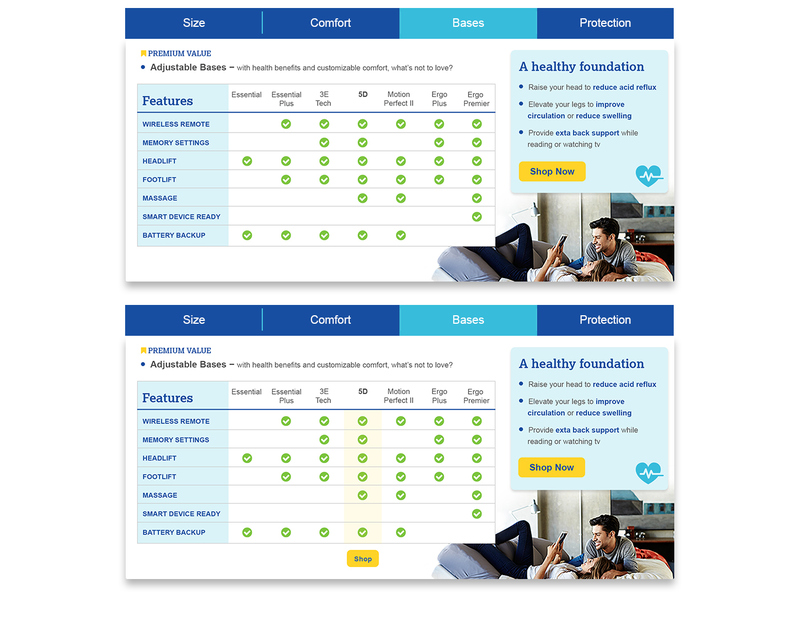 It covers the four important decisions made when a user is in the market for a mattress: size, comfort base type, and warranty. One of the biggest customer complaints about mattress purchase from the call center was about base height, rather than the mattress purchase itself. I designed a base calculator to help customers avoid the faux pas of buying a base that was either to high or too short. The calculator requires the frame/rail height, and the mattress height (found on the product details page), and will recommend a standard base or bunkie board accordingly. Another goal of this page was to upsell adjustable bases. 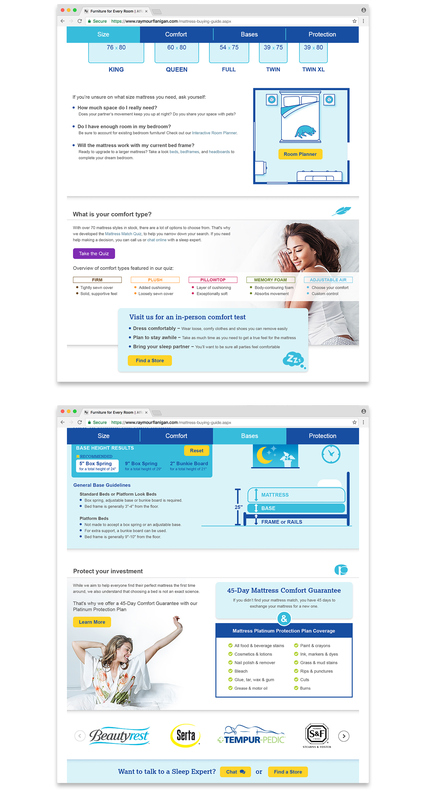 This section of the design contains general benefits of owning an adjustable base, and a visible comparison of different models that are clickable on a mouse hover.